Columbia University’s Mark Lilla is an erudite and engaging historian of ideas, concentrating on political thought from the 18th century to the 20th. I share with him a scholarly interest in the ever-controversial Leo Strauss; and I eagerly devour Lilla’s elegant witty essays in the New York Review of Books. In the Once and Future Liberal, Lilla turns his mind to a very different kind of project, articulating a vision for the future of liberalism in America. His intended audience is the Democratic Party. But Lilla, to my knowledge, has never been a political organizer, and he is certainly not a policy wonk. Entering into such matters as racial inequality, social cleavages in contemporary America and the challenges of the welfare state, Lilla’s 144-page essay doesn’t cite a single study or statistic. Plato and Hegel were more empirical. Lila’s real beef is with the current style of liberal politics, as exemplified by professors, intellectuals and activists in social movements. In other words, liberalism, according to Lilla, is having a bad-hair-day or -decade or two. The implication of Lilla’s argument is that liberals would be successful with their principles and rally the American mainstream if they dressed and groomed like Bernie Sanders rather than (Sanders supporter!) Cornel West, listened to jazz or country, not rock & roll, did Power Lifting, not Pilates, and kept their sexual and dietary preferences to themselves. But much of what is plausible in Lilla’s book has been scooped by the real Bernie Sanders. Lilla’s polemic would have fit perfectly as a critique of the Occupy movement, with its penchant for protests and radical manifestos and haughty indifference to electoral politics. Now, rising from the ashes of Occupy, there is on the left of the Democratic Party a progressive movement that is getting its hands into real electoral struggles, including in parts of America traditionally dominated by Lilla’s Joe Sixpack. This is barely acknowledged by Lilla and even when acknowledged given little political significance. Precisely along the lines of what Lilla claims American liberals have failed to do, the progressive movement has boiled down its core message to a “People’s Platform” which emphasizes health care and access to higher education as rights of citizenship for all Americans, exactly a reinvention of the New Deal vision for which Lilla is so nostalgic. 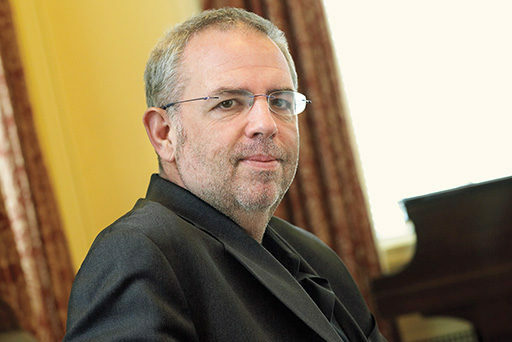 If there is a serious intellectual operating system in Lilla’s book, something beyond picking a fight with others in the chattering classes, it is Lilla’s critique of individualism or social atomism in liberal American culture and his contrasting ideal of social and political unity, "the common good." For Lilla, the style of liberal politics that (he claims) has been such a loser at the ballot box for liberal Democrats has its deep root in a sort of hyper-individualism: liberals he attacks define their politics not in terms of general principles about justice but personal causes and values that articulate a lifestyle, a certain image that appeals to their own kind. The political agenda sounds like an entry on a dating site: “vegan, bi, Black Lives Matter, anti-GMO, climate justice”, to give the idea (my invention not Lilla’s). Of course, there is plenty of material here for a satirical take, and Zadie Smith’s novels, for instance, do a wonderful job of that. But the serious question is: what kind of political unity is possible or desirable in a liberal society, given the commitment of to individual rights and political pluralism, as well as the sociological fact of diversity in contemporary liberal societies. If we go back for a moment to an early vision of America, that in the Federalist Papers (Madison, Hamilton and Jay, framers of the US constitution and liberal thinkers of the Enlightenment), what is clear is this earlier liberal vision assumed and embraced American politics and society as a battleground of conflicting interests and agendas. Indeed, for Madison and Hamilton, this conflict – channeled through appropriate political institutions – was a guarantee against tyranny; the authors of the Federalist worried about the danger of a majority faction imposing its agenda on the whole country, a form of oppressive unity, and they thought that a large republic would be very hard to co-opt or capture by any one movement or interest group. In Lilla’s account, Roosevelt’s New Deal vision of America, and the policies that it wrought, unified the country for decades. Something happened starting in the late 1960s and 1970s that prepared the ground for the Reagan Revolution, which then created a new national consensus of sorts on the right. This something, according to Lilla’s tale is mostly the fault of the kind of liberals or leftists that he dislikes. Aside from Viet Nam, it must be acknowledged that the doubts about a benign progressive America were reinforced by the fact that the noble achievements of the civil rights movement and the social programs of the Great Society did not, at least in a time period suited to the American spirit of impatience and immediate results, produce the hoped-for equality and participation of hitherto marginalized populations in mainstream American life, both its benefits and responsibilities. Liberals and conservatives took different views of the causes of those disappointments. One instance of that, which I mentioned above, is the debate about welfare and African-American family structures that turned former liberal allies into foes. Lilla pleads for unity – as if the cleavages produced by the disappointments with the civil rights movement and the Great Society were manufactured by activists and intellectuals merely trying to whip up trouble. But the lack of unity reflects genuine disagreements and conflicts in American political culture that could not be simply resolved by morphing the New Deal into the Great Society. At the same time, Lilla is equally wrong in suggesting that Reaganism produced a new consensus in America. Reagan gave a new lease on life to conservatives, and offered the Republican Party a clearer ideological orientation. But Reaganism was fought at many levels by liberals. Reagan and some of his followers might have thought of it as embodying the American ideology but it never commanded a national consensus of any kind. Even during the Reagan era, liberal statesmen like the late Senator Edward Kennedy scored victories for the progressive alternative. Now it is surely true that New Deal-type liberals were hobbled in some respects in responding to Reaganism. For one thing, even in the Carter era, scholars and policy analysts in the political center, many with associations in the Democratic Party, were starting to rethink the regulatory state as it had evolved from the New Deal through the Great Society – the alleged over-reliance on command and control regulation and over-confidence in social engineering. The Reagan anti-government ideology described by Lilla could draw from a sophisticated critique of the welfare and regulatory state already embraced in some respects by Carter Administration officials. And then there is globalization. Oddly, Lilla seems to think globalization is entirely irrelevant to what has divided liberals or the Democratic Party. Nor does he have anything much to say about how technology affects economic organization and or social inequality (apart from occasional asides that technology is a culprit in intensifying the individualism that Lilla so dislikes). Here, Lilla’s obsession with the style of politics blinds him to something of enormous importance. Clintonite liberals embraced globalization, and sought to make it work for America. (That was similar in Britain for Tony Blair’s New Labour). Contrary to Lilla’s account, it was globalization not identity or lifestyle politics where mainstream Democrats started to lose the unions. The notion that untrammeled international competition was good for American workers couldn’t be sold. How to handle globalization divides among themselves liberals in the Democratic Party to this day, and a way out of this division is, I believe, politically much more important for Democrats than managing or overcoming identity politics. If I have a bone to pick with the kind of liberals that Lilla eschews, it isn’t about identity issues, but their typically dogmatic anti-globalist stance. The posture is a cop-out from confronting the complexity of globalization’s challenges and realities. In fairness, equally a cop-out is the Clintonite/TEDtalk/Davos dogma that what is good for Bill Gates and Mark Zuckerberg is good for America – and the world. These are big thorny issues, doubtless too tedious for Lilla to be bothered with given his obsession with style rather than facts and figures and the details of policies. Indeed, Lilla’s presentation of the “Rooseveltian dispensation” consists not in a discussion of policies but a series of images that he finds viscerally appealing: “soldiers raising a flag after defeating a fascist army, their wives in overalls running lathes back home, shirtless workers building Hoover Dam, power and phone cables strung over mountains, ….” (p. 35). So what can political unity, or a unifying vision of politics, mean in a diverse liberal democracy like America? Every time the horribly divisive Donald Trump tweets that we will all come together my skepticism about the discourse of political unity deepens. If we want to govern, liberals or progressives need to forge an electoral coalition that is viable. True enough. But that has little to do with the romantic or organic conception of unity or the common good evoked by Lilla – in all its, and his, vagueness. In the Republic, Plato – who, as Danielle Allen (and in a more muted fashion, Leo Strauss) have pointed out, is wrongly seen only as a critic of democracy – has a wonderful image, far more attractive to me than Lilla’s images of victorious soldiers and of sweating shirtless workers building dams (the latter remind me more, actually, of Soviet-era propaganda than anything liberal). Democracy, Plato’s Socrates says, appears as beautiful, “like a cloak embroidered with every kind of ornament, this city, [is] embroidered with every kind of character type.” Later, Aristotle, typically, would transform this insight into a more academic concept that is largely untranslatable by a single English word: politeia. This is the notion of a polity where all citizens can see, in some way or other, their interests and values taken into account in public decision-making. When Anne-Marie Slaughter, who has blurbed Lilla’s book, calls for a message from Democrats that can reach all Americans, I see her as pointing to something like politeia (the variegate multi-colored cloak as a wearable garment); but not abandoning the framers’ vision that liberal democratic politics is, and should be, the constant brokering of different and competing interests and constituencies. Lilla is after something different, which comes from non- or even anti-liberal sources – the revolt against bourgeois individualism or atomism in European thought from Rousseau to Heidegger. The notion is that our collective life should resonate in some unity deeper than our individual tastes, desires, lifestyle choices. While influenced by this kind of thinking, Lilla remains enough of a liberal to reject a unity based on the older type of identity politics – blood and belonging. In his earlier writing, Lilla has shown how the thinkers who revolted against bourgeois liberalism often were led down the path of extreme anti-liberal politics. Attracted to anti-liberalism’s critique of individualism but repelled by its appeal to collective identity, Lilla is deeply conflicted philosophically. What of Lilla’s great American hero FDR – did he regard the New Deal as a “dispensation”, a kind of aristocratic magnanimity or a unifying vision? Contrary to Lilla’s rejection of the political as personal, I would hazard that Roosevelt’s political struggle was deeply shaped by his personal struggle against a disability that, but for the resources of a well-off and well-connected family, would have left him a cripple (as they said then) and probably incapable of earning a living in an America unaccommodating of disability. Roosevelt’s “dispensation” was not about a Soviet-style worker state, but a support system to give all of us the resources to seek our individual destiny despite the obstacles – to fight our individual struggles with disability, with disadvantage, with all of our limitations and particularities, whether imposed by society, historical disadvantage, or mere genetics or character. Roosevelt’s New Deal is infinitely closer in spirit to Alissa Quart’s “Republic of Outsiders” than Lilla’s propaganda-film image of a lockstep content middle class industrial society. SUGGESTED CITATION Howse, Robert: The Retro Style in Liberal Politics: A Review of Mark Lilla’s ,The Once and Future Liberal: After Identity Politics', VerfBlog, 2017/8/25, https://verfassungsblog.de/the-retro-style-in-liberal-politics-a-review-of-mark-lillas-the-once-and-future-liberal-after-identity-politics/, DOI: https://dx.doi.org/10.17176/20170825-124308.